It’s so crazy to think that yet again another month has passed us buy, BUT I’m not mad at it! The first week of the month means one thing…..Stylelogue time! 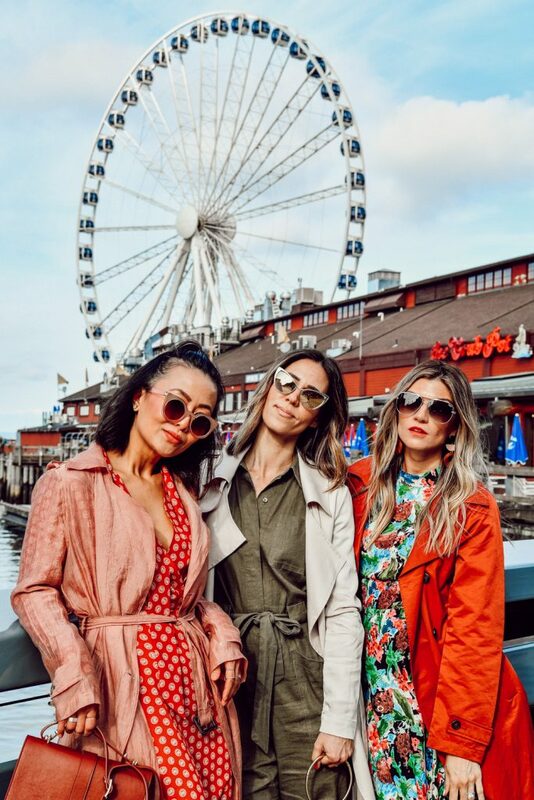 The Seattle Stylelogue is back again and this month we are tackling the trench coat trend with the – arguably one of the most consistent, and popular, trends of the spring season. In March we shared how you can incorporate Garden Blues and Florals in to your everyday wear – head to my Stylelogue page to view all our previous posts and trend discussions. 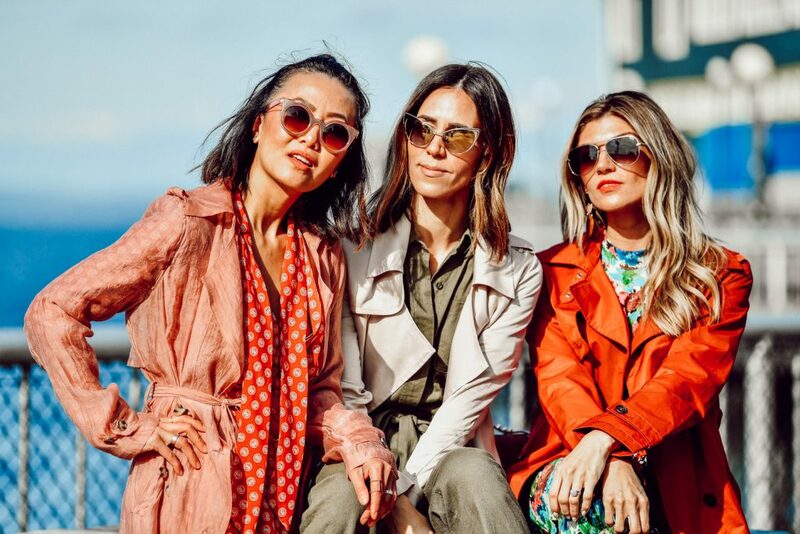 The Stylelogue Trench Restyled is here to share three different ways to style trench coats this season while incorporating other favorite seasonal trends! 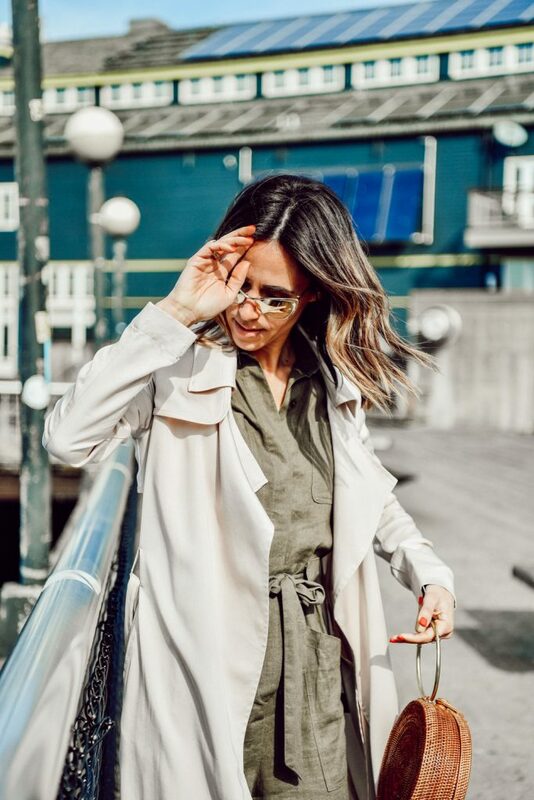 It’s no secret that trench coats are one of the most popular trends of the spring season – it’s THE outerwear go to for the season! Trench coats have a way of elevating any look and finishing it off with a bit of refinement and polish! This season the trend has gone the extra inch and incorporated colors and fabrics of the season, making the trench that much more desirable! A few honorable mentions are this organza trench, this iridescent trench and the lilac trench – the trench I styled in this post also comes in four colors! 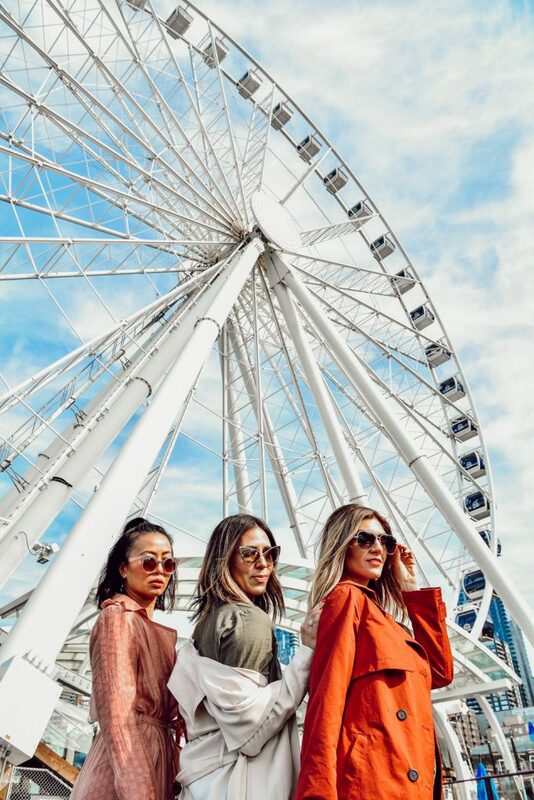 Shop more of my favorites below – Shopbop also has an amazing selection at variety of price points! Another trend we are seeing this spring is Utilitarian. 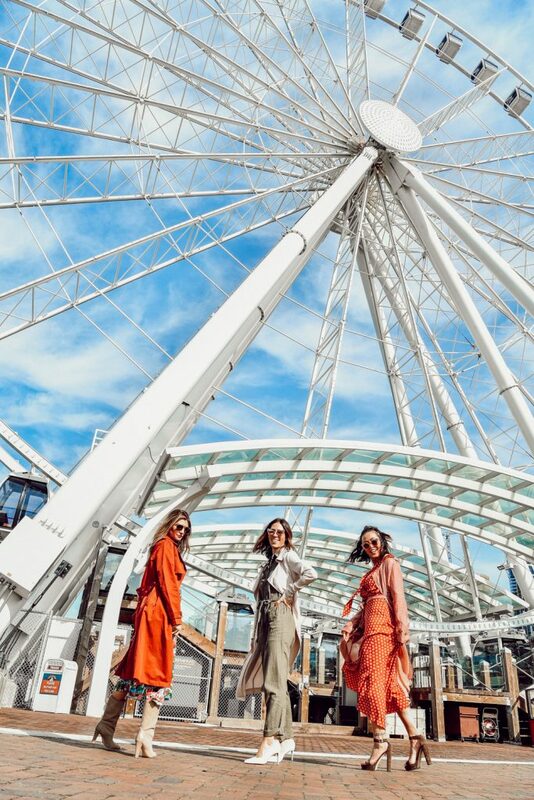 Earlier this year I styled this utilitarian jumpsuit in pink corduroy – it’s a trend that we have seen and is making its cyclical return! 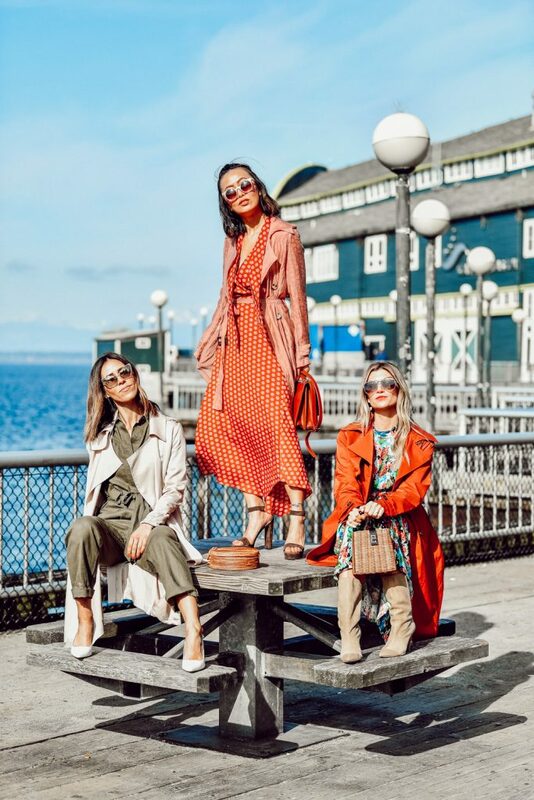 Try adding one like this jumpsuit to your spring wardrobe – the color gives it some versatility and flexibility to be worn across so many seasons too! Shop more of my favorites below. Cortney brought in another really great trend that we are seeing a lot this spring – florals! Her red sheen trench coat not only compliments, but enhances the gorgeous floral print in her dress! Don’t put your boots away from spring – Cortney has proven that! 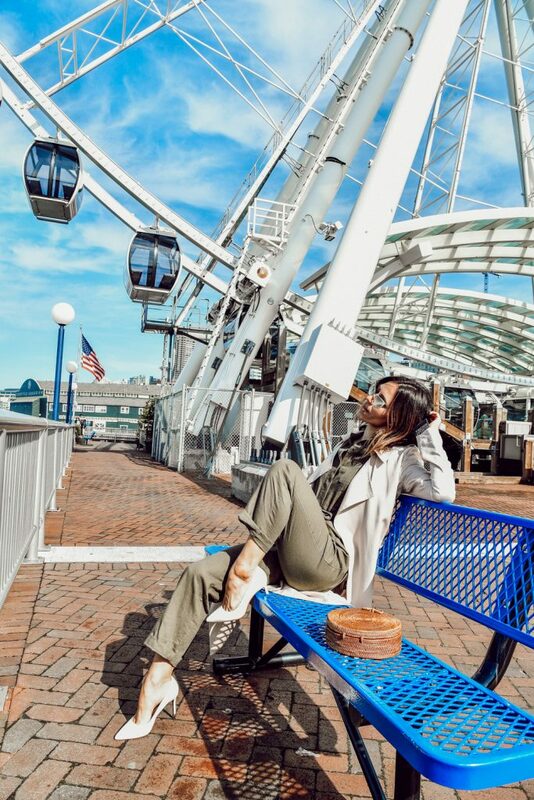 She styled these killer neutral suede boots to add some great texture to the overall look! Elisa’s look tugs on my heart strings with this organza trench – it’s the most gorgeous trench I’ve ever seen and her styling is perfection. The color palette says spring in one word – pantone! The feminine silhouette of both the trench and her dress make this a perfect pairing for any spring occasion. Her platform sandals have a 70’s edge that compliment the look so well! Oh yeassssss nice work Boo! Loved how you explained my outfit! Love how you styled it!! That dress!! Right? There are so many its hard to choose from them! !